With the shift from analog to digital technology in hearing aids, virtually all hearing aids are now computer programmed to better meet each individual's hearing requirements and hearing loss. At Physicians Hearing Center we can program all major brands of hearing aids. Through computer programming, new hearing aids offer far more flexibility than ever before. If you feel that you are not hearing as well as you once did, we can likely make improvements by adjusting the settings of your hearing aids. We offer programming adjustments regardless of where you purchased your hearing aids. If your hearing aid isn't working properly or needs repair, don't throw it away or leave it sitting in a drawer! Often times it only takes a small repair or reprogramming to get old or broken hearing aids working again. When you bring your hearing instrument to Physicians Hearing Center, one of our audiologists will examine the device for free and let you know if it is repairable. We service and repair all major brands of hearing aids. 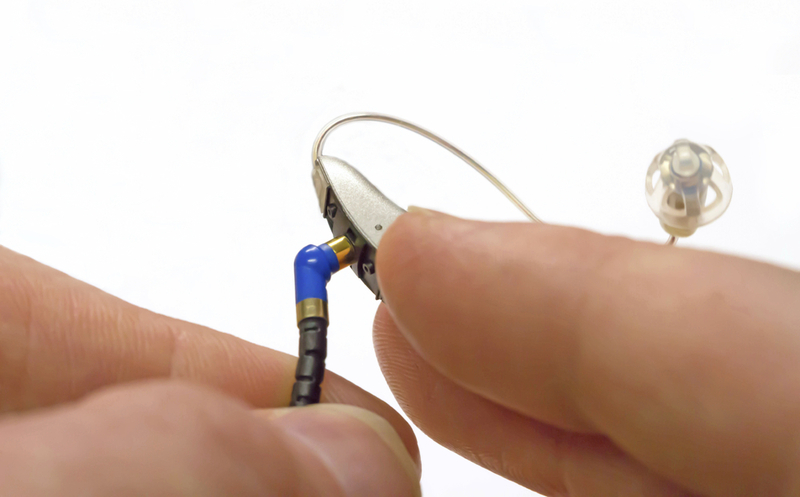 Many hearing aid repairs can be performed on-site and free of charge. Don't let a minor repair prevent you from hearing, and don't let those other companies charge you hundreds to make the repair or push you into buying a new hearing aid. Take advantage of our integrity and experience! We are happy to help! Repairs that are more extensive can be done for a small charge. We can handle both warranty and non-warranty repairs for you. In some instances, Physicians Hearing Center will only charge a manufacturer's fee to fix the instrument. We can also arrange major repairs on hearing aids that cannot be performed on-site. You can rest assured that your hearing aid will be sent to a professional repair lab that we trust and with whom we have a proven relationship. Don't trust your equipment to an unproven or internet repair service. Trust the experts!